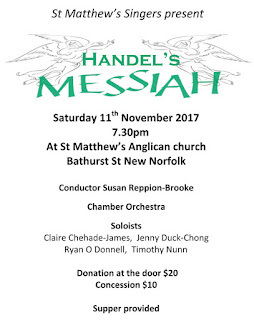 HISTORIC St Matthew's Anglican Church in New Norfolk will reverberate with the sounds of Handel's Messiah this weekend. 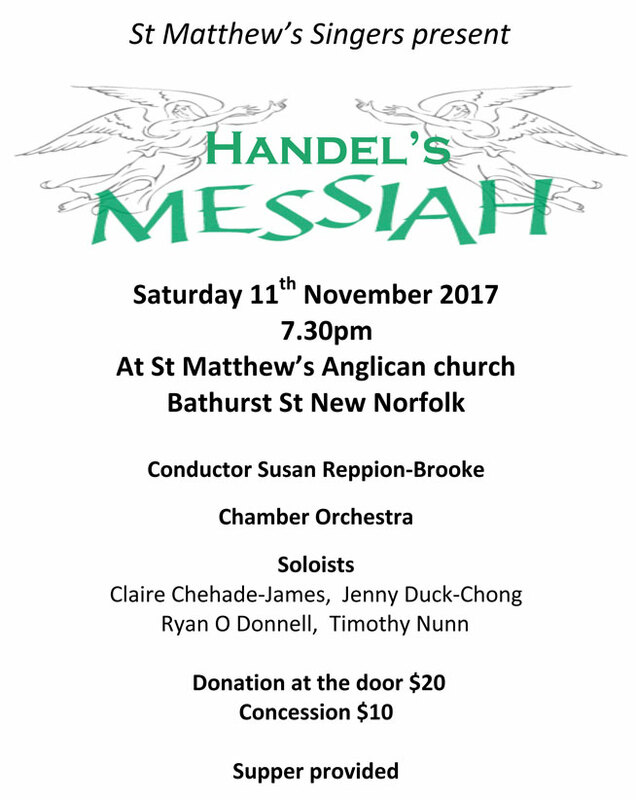 It will be a festival of voices and instruments this Saturday at 7.30pm when the St Matthew’s Singers, along with chamber orchestra and soloists, perform the inspiring oratorio which was first heard publicly in 1742. Experienced professional musicians and enthusiastic amateurs, young and old, will combine together for this very special event under the baton of conductor Susan Reppion-Brooke. The church is in Bathurst St, New Norfolk. Donations of $20 ($10 concession) will be received at the door and supper will be provided after the concert.